Colour films are manufactured to achieve a real record of light and colours at 5500K (which is sunlight at noon). These films are commonly known as daytime films and they were the type most commonly used by people (or still used). So, if we take a picture using daytime film at noon (sunlight), colours come out as they really are: white looks white, red comes out red, etc. If we use this film to take photographs at dusk or at dawn, the picture will come out with a yellow/orange tone because light at that moment is has a lower colour temperature. As a result, we get pictures with a yellow tone. If we use the same film to take pictures inside a house illuminated by tungsten lamps (common light bulbs) the entire picture will have a yellow tone because the light is yellow. There are some tungsten professional films which are balanced to record colours as they really are whenever we shoot photographs under tungsten light (3200K). 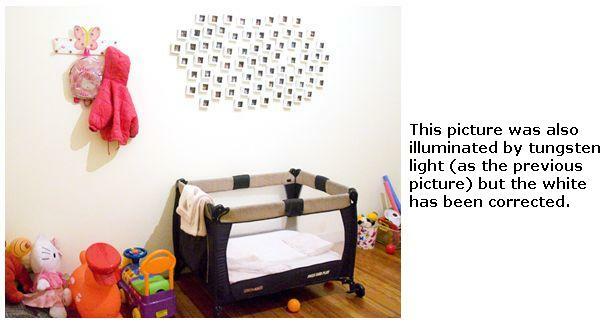 Thus, if we take pictures inside a house illuminated by tungsten lamps and we use this film, instead of getting a yellow-toned picture, the photograph will come out as if it were illuminated by white light. 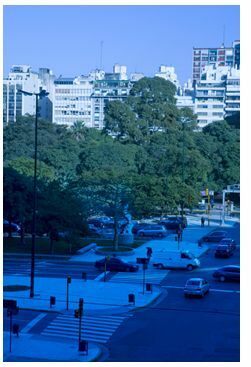 If, as you can see in the image below, we use this film to take pictures under sunlight, the image will have a blue tone. To correct the colour temperature of light whenever we are using film, we need to use filters. Filters are accessories made out of glass or acrylic (they can also be made out of film gels, which are used to correct or change colours in movies and videos). They are placed in front of the lens or the source of light to change the light colour. There are filters in every primary and secondary colour (red, green, blue, cyan, magenta and yellow). How do we know what filter to use? To remove a colour, we need to add its complementary colour. Let's go back to the previous example. 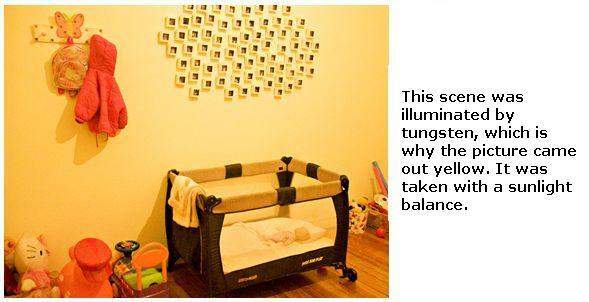 If we take a picture inside a house illuminated by tungsten, we mentioned it comes out with a yellow tone. The complementary colour for yellow is blue, thus, to remove this yellow tone, we need to add a blue filter. If we take pictures under a fluorescent tube, the image in general ( this will depend on the type of fluorescent tube we are using) will have a green tone. To remove the green, we need to use a magenta filter (magenta is the complementary colour to green). 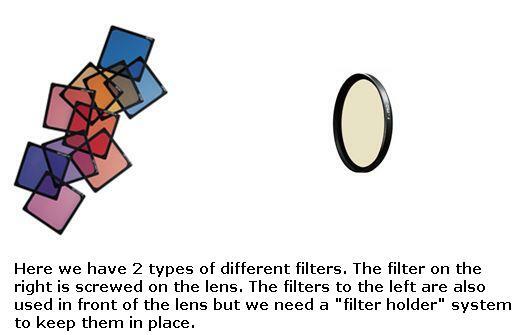 Filters are also use to slightly or drastically change the colour of light. Imagine we are shooting a photograph at noon, in which light is neutral, but we want to add a warmer tone to the entire photograph (more like afternoon or morning light). 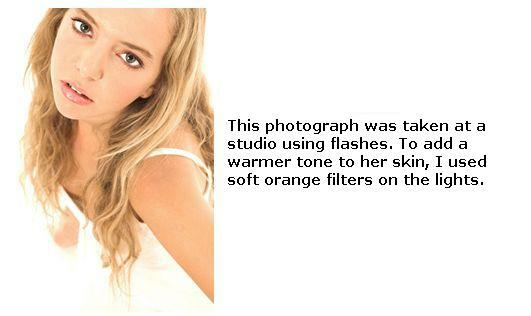 We can use a soft yellow filter (amber) which will make the entire picture come out with a more orange tone. As a result, we have achieved the effect of making the picture look like it was shot at dusk or dawn. If you notice the light illuminating the stage in a recital, and even in theater, you will notice that lights have a gels or acrylics to change the colour of light to make it green, red, etc. They change the colour of light to achieve a more interesting illumination. Nowadays, changing or correcting light colour in digital cameras has become an easier task. 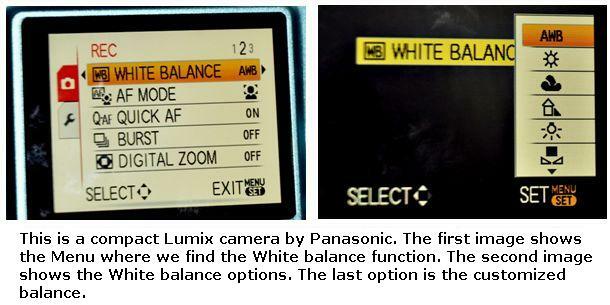 Every DSRL camera, and in the majority of compact cameras, there is a function called "White balance". This function will allow you to change light colour to achieve the result you want. The White Balance function is generally found in the menu. The quantity and types of balance options available to you will depend entirely on the model and type of camera you have. 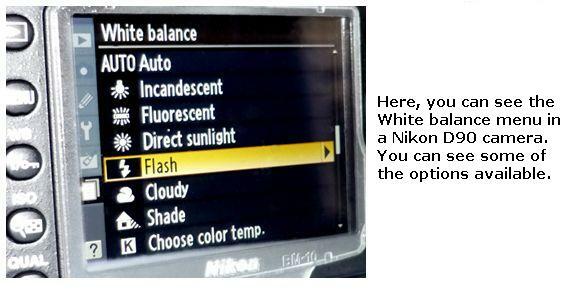 The most common options available are: Automatic, daylight (5500K), tungsten or incandescent (3200K), fluorescent tube (sometimes they have 2 or 3 options for different types of tubes), flash, shade, cloudy day, and a customized balance (not every compact camera has this option available).